A view from the Oa down to the lighthouse at Carraig Fhada and over to Texa. 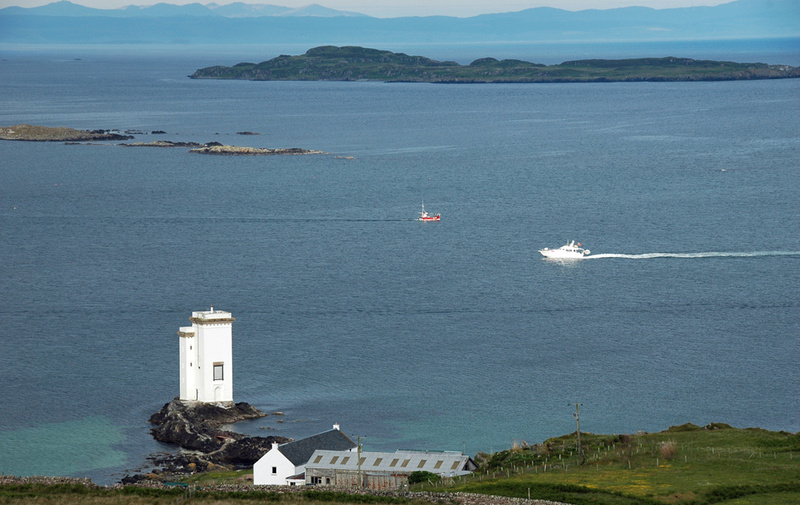 A fishing boat is going out to sea while a motoryacht is coming into Port Ellen. This entry was posted in Landscape, Lighthouses, Repost, Sunny Weather and tagged Carraig Fhada, Fishing Boat, Islay, Port Ellen, Texa, The Oa by Armin Grewe. Bookmark the permalink.